U.S. Air Force Air Demonstration Squadron, the Thunderbirds, perform a “Diamond Pass in Review” maneuver during the Thunder and Lightning over Arizona Open House event at Davis-Monthan Air Force Base, Ariz., March 13, 2016. 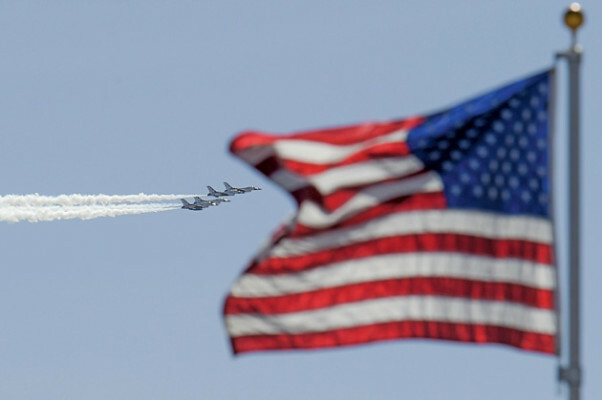 The hour-long demonstration gave spectators the chance to witness the precise maneuvers and capabilities exhibited by these F-16 Fighting Falcon pilots. U.S. Air Force Gen. Hawk Carlisle, commander of Air Combat Command, and Chief Master Sgt. 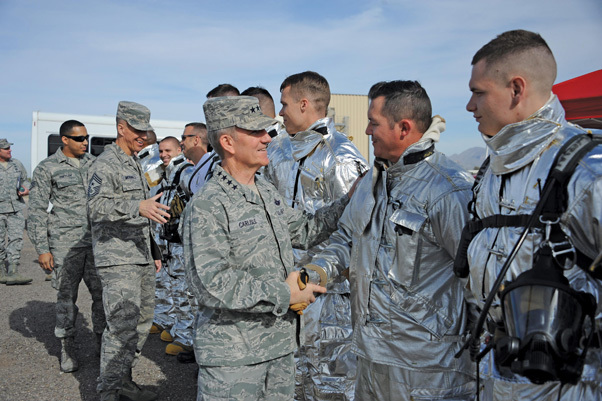 Steve McDonald, ACC command chief, meet 355th Civil Engineering Squadron fire emergency services flight Airmen during a base tour at Davis-Monthan Air Force Base, Ariz., March 3, 2016. 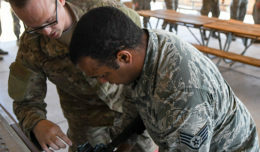 The 355th CES Airmen had just conducted a live fire demonstration that Carlise and McDonald observed. 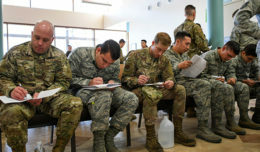 ACC operates more than 1,300 aircraft, 34 wings, 19 bases, and more than 70 operating locations worldwide with 94,000 active-duty and civilian personnel. 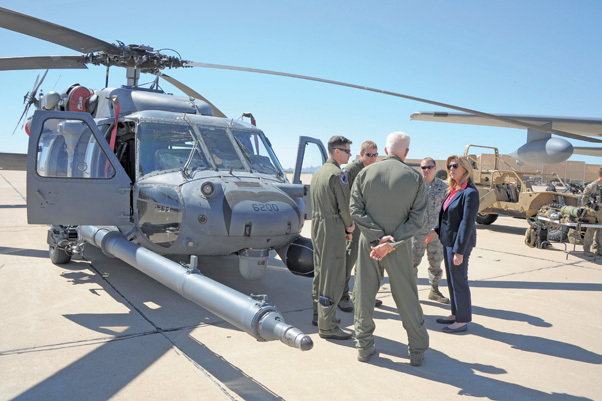 Secretary of the Air Force Deborah Lee James speaks to 355th Fighter Wing Airmen during a tour at Davis-Monthan Air Force Base, Ariz., March 9, 2016. 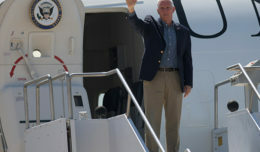 James is the 23rd SecAF and has 30 years of senior homeland and national security experience in the federal government and the private sector. James and Deputy Secretary of Energy Dr. Elizabeth Sherwood-Randall visited various units to discuss their mission operations, priorities, and capabilities, in addition to D-M AFB’s significant contributions to efficient energy use.